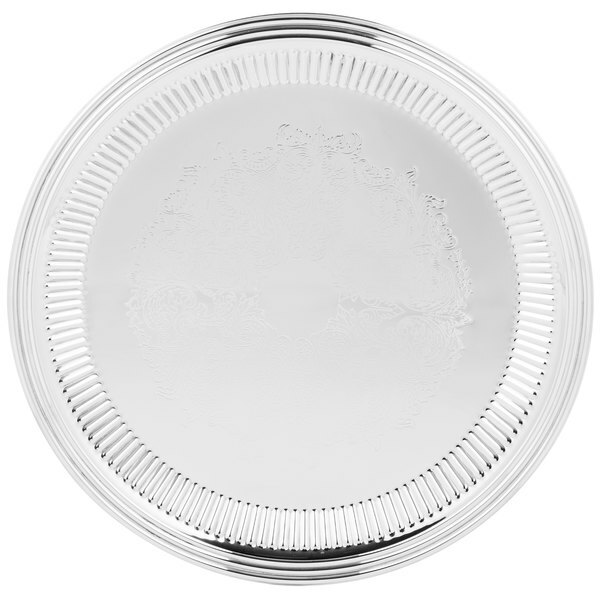 The Vollrath 82170 Esquire 16" round fluted tray is perfect for displaying fruits, vegetables, and special hors d'oeuvres! 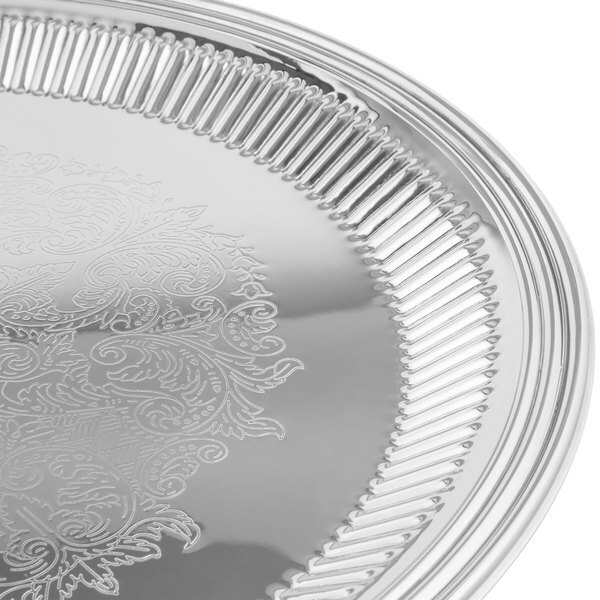 The mirror-finished design helps create a traditional, polished look that elevates any event, while the stylish center embossing and elegantly fluted edge minimize the visibility of daily wear. Best of all, thanks to its food-safe surface, you don't have to cover up the tray when serving! 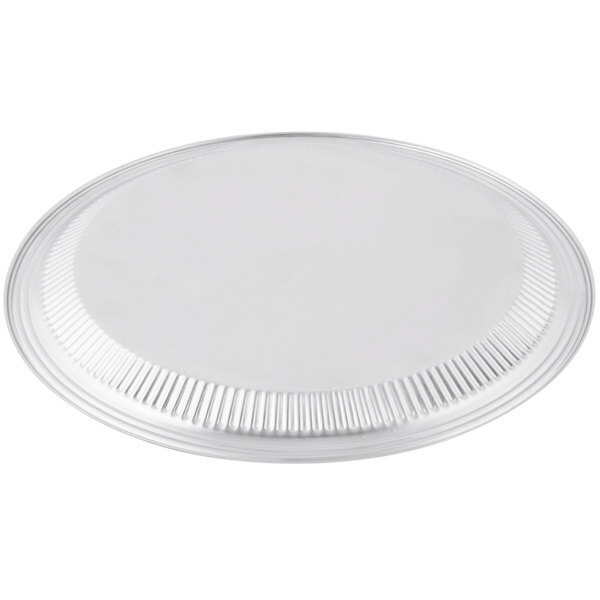 Made of heavy-duty 18/10 stainless steel, this 16" round tray also boasts impressive durability. 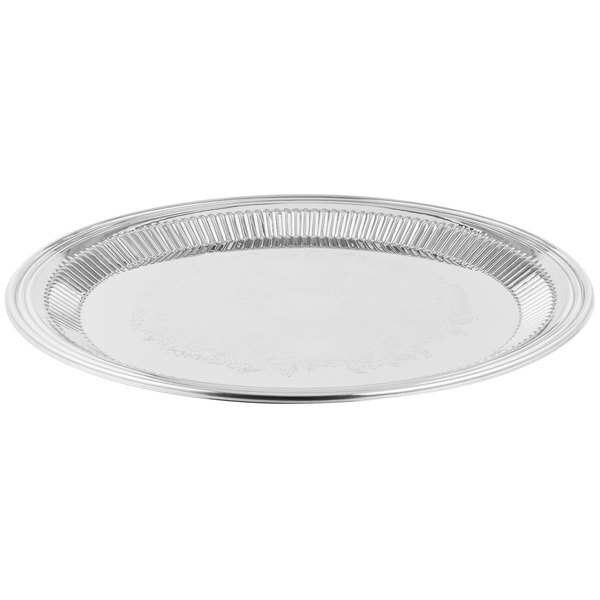 Both non-porous and scratch-resistant, this tray is sure to keep its pristine appearance for many events to come. Plus, its 10 percent nickel content helps reduce the risk of rusting, so you can avoid those unsightly spots with proper care.